Over the past 41 years of public life, Hillary and Bill Clinton have amassed a web of fiercely loyal donors who have contributed a total of $3 billion to their charity and various political campaigns. And they have done it by being nice. By being exceptionally shrewd, calculating politicians, but also by being really, just inconveniently nice. And they did it by being obsessively nice. Bill Clinton used his charisma and intellect to captivate new supporters. And Hillary applied her characteristic attentiveness—sending handwritten notes to celebrate engagements and new babies, and poetry books to comfort those in mourning—to win over lifelong allies. “She remembers everything we ever talked about,” said Susie Tompkins Bell, a close friend and co-founder of Esprit, who, with her husband, Mark, has given $420,000 to the Clintons’ campaigns and $11.25 million to their foundation. 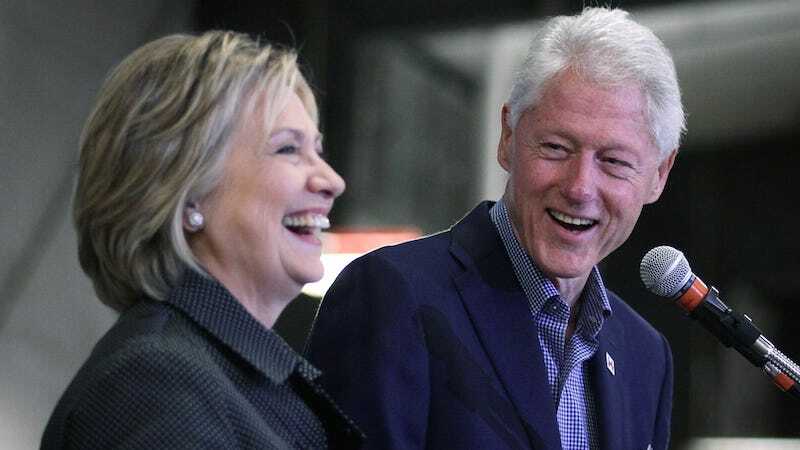 On Tuesday, Politico reported that Bill would be speaking at at least 20 fundraisers for Hillary’s campaign in the next month with the hope of hitting the campaign’s 2015 goal of raising $100 million. The campaign is already at least three-quarters of the way there.